New! 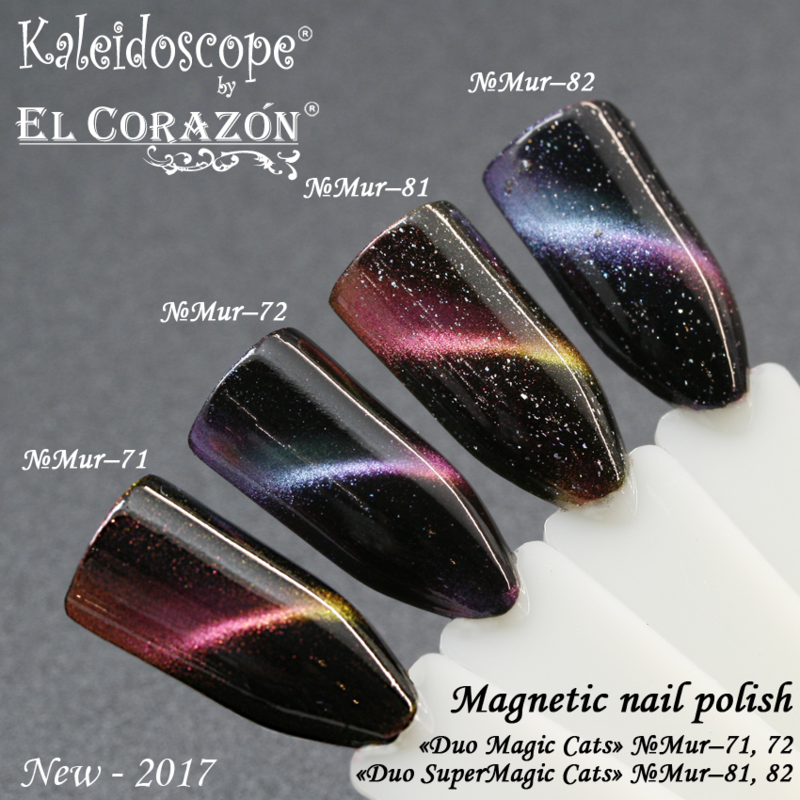 Two Kaleidoscope nail polishes collections with duochrome magnetic pigment: "Duo Magic Cats" and "Duo SuperMagic Cats"! 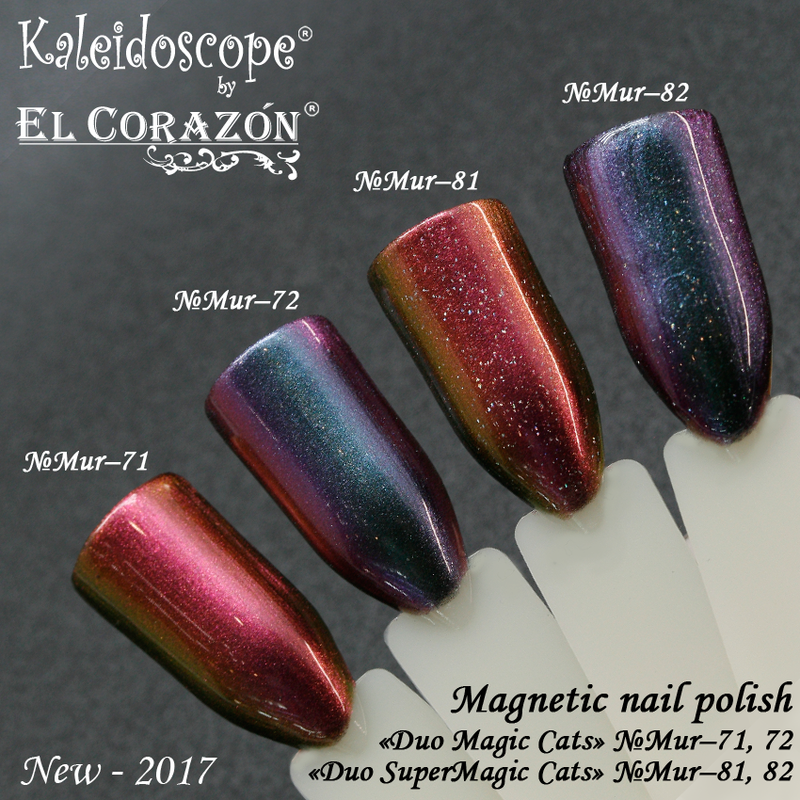 Two new collections of Kaleidoscope by El Corazon magnetic nail polishes with duochrome magnetic pigment: "Duo Magic Cats" and "Duo SuperMagic Cats"! It is enough to apply one layer of varnish on a dark base and bring a magnet and your manicure will sparkle! Magnetic stripe shimmers depending on the light angle. You can use the varnishes of these collections without a magnet, then they will look like chameleon lacquers.